As per new protocol being implemented by CPCB , all industries will have to submit this information Every Quarter on 1st January, 1st April, 1st July and 1st October to CPCB.This is now very important and all industries can take our help in getting this work done. 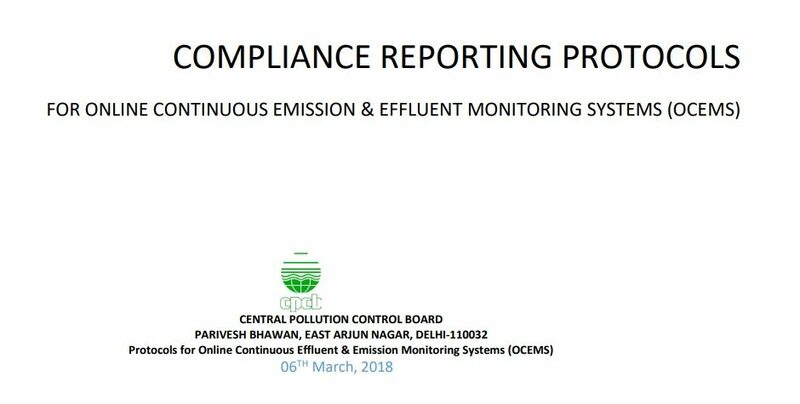 This protocol is likely to be uploaded on CPCB web site on 15th April 2018 and industries will have 45 days’ time to fill correctly and submit to CPCB. 1) Our specialized Approved technology UV-DOAS & IR-DOAS has been mentioned in the protocol on Page 23. 2) All data needs to be corrected to O2 / CO2 and normalised to Standard Temperature / Pressure.This is also applicable for all instruments already installed.We are experts in this and please contact us for this .CPCB will not accept non-corrected and non-normalised data. 3) For all dilution instruments , CO2 measurements need to be done at stack and also instrument end.We make these CO2 instruments and we may be contacted to have this compliance fulfilled. 4) Separate form and details need to be filled for each stack.